After a full week of meetings and hotel inspections here in London, it's only fitting that this week's edition of our Favorite Friday finds includes offers from a few new faves. 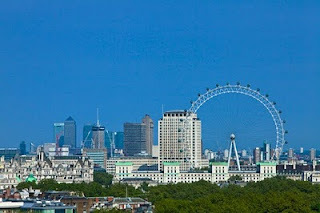 Stay tuned, too, for upcoming posts about the new and newly renovated hotels now open (or opening soon) London-wide! 1) Think it's impossible to visit London during the Royal Wedding? Think again: Brand new (officially opening April 2) and ultra-luxe Corinthia London has rooms available from 450GDP/nt. 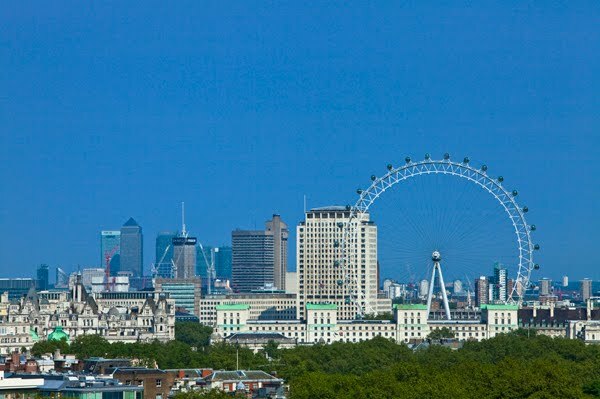 Many rooms & suites feature London Eye views, the 294-room hotel houses the first ESPA Life Spa concept, a David Rockwell-designed restaurant and we love that rates here include WiFi and spa/gym access. 2) The Metropolitan London: This chic boutique Como Hotel across from Hyde Park offers an incredible 3rd night free deal on select weekends valid for arrivals on Thurs or Friday for stays of three nights. Rates are almost too good to be true (but once booked, are nonrefundable/non-changeable). If do you prefer more flexibility, book our breakfast inclusive rates from 229GDP/nt including breakfast for two, free WiFi and special VIP perks! 3) Four Seasons Park Lane: Officially open for business after a two-year-plus renovation, this Four Seasons clais better than ever. Service is unbelievably flawless and the new rooms and suites are stunning. Our Preferred Partner rates include daily breakfast for two, a $100 spa credit and free WiFi if you book a suite. The hotel's house car--a stylish new Rolls--will also gladly get you around town in style. 4) Parrot Cay: If warm weather, healthy cuisine and spa treatments in a gorgeous island setting is what what you are craving, check out the five-night Como Shambhala package from Parrot Cay. Rates start about $1350/nt in April but do vary by dates and include: breakfast, a healthy three-course lunch and dinner daily; round-trip airport transfers; complimentary yoga and Pilates classes; and six 60-minute spa treatments per room. 5) La Samanna, St. Martin: This classic beach resort by Orient-Express has a terrific "Suite Summer" promo in effect from May through Dec 21st. Book a one-bedroom suite for a minimum of five nights and enjoy breakfast-inclusive rates from $485. To book or for more details on these and other luxury travel offerings worldwide, email stacy@elitetravelinternational.com or call us 310.979.9036. Thanks a lot for such a wonderful post, the stuff posted were really interesting and useful. The quality of the content was good and clear. Great!!! I have gain a lot from your article. thanks so much you provide really well information. Excellent post. I found this much informative, as to what I was exactly searching for. Thanks for such post and please keep it up. I am happy to find this post very useful for me, very entertaining and informative. Nice post, Really loved reading your we blog post. The information was very informative and helpful. Here is somebody at the bleeding edge of the business and he's humiliated to discuss it in his neighborhood. March Madness: Final Five Faves!